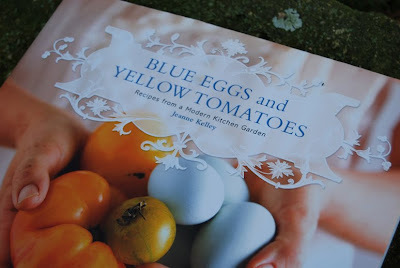 Blue Eggs, Yellow Tomatoes is a favorite in my collection of cookbooks. It's focus is on slow, local, and seasonal food. The author, Jeanne Kelley, lives only minutes outside of downtown Los Angeles but she grows her own food, has chickens that lay beautiful pale blue eggs (hence the title! ), and even keeps a pet goat! 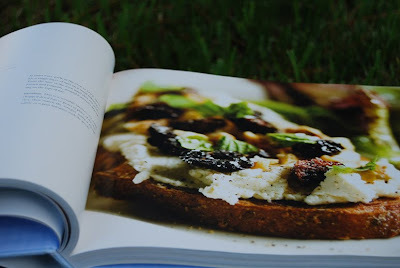 The book has a section about keeping backyard chickens and building a kitchen garden. 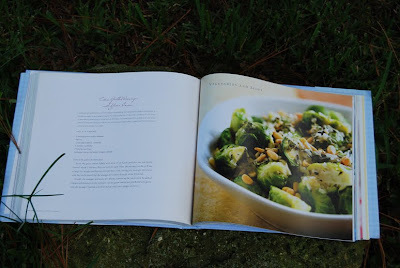 The recipes are delicious and the photography is amazing. The book is so large I have a hard time finding a place for it on my bookshelves but it makes a great coffee table book!